In part one of this article about controlling Legionnaires’ disease in water systems, we looked at the importance of the legionella risk assessment, water safety risk management, and the prevention and control of risks in associated with Legionnaires’ disease. There are three further areas you must be aware of if you are responsible for a water system of any kind, either as the Duty Holder, Responsible Person, landlord or an employer. Conducting a legionella risk assessment and taking regular action to keep the risks associated with legionella bacteria under control is only the beginning. You must also ensure you always have proper records to document everything you have done. This is required by law if you have five or more employees. 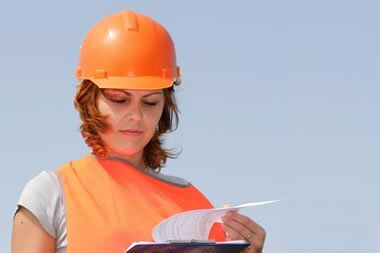 Under the current rules set by the UK’s Health & Safety Executive you can skip this formal written reporting step if you have fewer than five employees, however it is a very good idea to follow it anyway. It is far easier to manage your control systems and monitor the steps you have taken if you do. It will also help to demonstrate to the authorities that you have taken appropriate precautions should anything go wrong in the future. The simple rule to follow is, if in doubt, write it down. It is far better to have too much information than not enough. Everything relating to the existing period of time should be kept, as a minimum for two years following the conclusion of that time. Furthermore, all information relating to any legionella tests, other tests or inspections must be kept for a minimum of five years. Do you have an evaporative condenser or cooling tower on your premises? If you do, there is a legal requirement for you to tell your local authority about it. This must be done in writing. If you have notified your local authority already, but your cooling tower is no longer used, you must let them know – again, in writing – that this is the case. The same applies with an evaporative condenser. You also have a duty to report instances of Legionnaires’ disease/legionellosis to the authorities if you realise an employee has developed symptoms. The Reporting of Injuries, Diseases and Dangerous Occurrences Regulations (otherwise known as RIDDOR) covers this aspect. Which specific legionella risks are associated with your business or responsibilities? Different businesses are likely to present different levels of risk, and have different areas of concern. For example, you may have a hot water system you are responsible for. Conversely, if you run a store that sells and displays spa pools, you would need to find out more about the specific areas of concern relating to this type of water system and how any legionella risks can be managed and controlled effectively. By finding out as much as you can about your responsibilities, and implementing a suitable legionella management and control programme you can ensure the risks posed by Legionnaires’ disease from man-made water systems is suitably managed and that your legal responsibilities are met. Pseudomonas Aeruginosa – What are the Dangers?